Centreville Layton School is pleased to provide a summer program that offers students academic support and instruction in preparation for the upcoming school year. 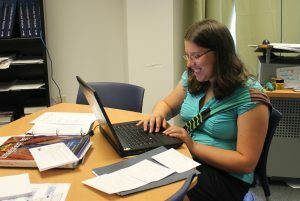 We offer targeted support to strengthen reading and math skills through a challenging, dynamic, and supportive program. Every summer, we welcome our students, as well as, students from local independent, parochial, and public schools. Each summer, families seek out Centreville Layton School for its well-rounded program that combines academic and recreational opportunities. 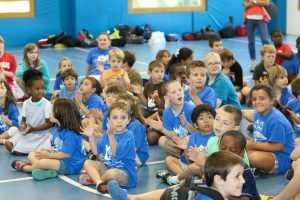 The Centreville Layton School Summer Program serves boys and girls from PK through 12th grade and prides itself on focusing on the individual needs and strengths of each student. Our balanced program offers a structured academic morning program and a recreational afternoon program. Join us this summer for our theme of Colors of the World. In addition to strengthening academic skills, students will be taught about colors in art, emotions, nature, and animals. Through our hands-on, multisensory approach, your child will grow and prosper. This summer Centreville Layton School is offering students of the Lower Schools two options for the Academic Morning Program, the traditional academic program or the reading concentration program. The traditional academic program is designed to review, enhance, and enrich academic skills to prepare your child for the start of a new school year in the fall. The focus in the morning is on reading, written language, and math. The reading concentration program is designed to strengthen student literacy skills by centering on reading and writing for the entire morning. This program will follow the traditional academic program schedule with the exception of having theme and math. During this time students will have additional reading. Centreville Layton School prides itself on small class sizes, so each student receives the attention he or she needs. The program runs five days a week, from 8:30 am to 12:30 pm. Language Therapy and Occupational Therapy are also available in small group sessions. After a morning spent learning, students become campers and participate in a structured afternoon recreational program. The afternoon program is run by a Centreville Layton School veteran teacher. A staff of teachers and counselors work with the campers to ensure a fun and safe camp experience. Groups are limited to six to ten campers; so all children receive the attention they need. If you would like more information about our program, please fill out our inquiry form and our Director will contact you shortly. Centreville Layton School is proud to offer two NEW programs to our high school students. Students may elect to enroll in one of our supporting programs. The INDIVIDUALIZED ACADEMIC SUPPORT program offers one-on-one or small group tutoring with a Centreville Layton School instructor. The sessions are offered for language arts and/or mathematical support. Individualized Academic Support sessions are not designed for credit recovery. The S.U.C.C.E.S.S. program [Students Understanding Cooperatively; Consciously Exploring Self for Success] offers an interactive program designed to broaden students’ reading and social comprehension. Each week, students will participate in mini units that focus on short stories, targeted reading strategies, analysis of classic literature through film, real-world problem-solving skills, extended writing pieces, and the editing and revision process. Content will be developed to meet the needs of the students enrolled. planning a field trip, including a schedule, transportation, and a budget. In this program, students will develop a deeper appreciation of self and form stronger connections with the community. The program also seeks to increase students’ willingness to use strategies, make thoughtful decisions, improve written and oral communication skills, and strengthen confidence when problem-solving. The SUCCESS program will meet daily for 5 weeks from 8:30 am to 12:30 pm on campus. How did you hear about Centreville Layton School?